Meticulous. Great job cleaning up the interior, too. Always a pleasure. Teddy and John made for a fast and easy transaction on what’s now my second purchase from Strong Porsche. Great job to all involved. This is what car buying experience should be - outstanding customer service. Thank you Z.A. for helping me find the perfect Macan at a great price! 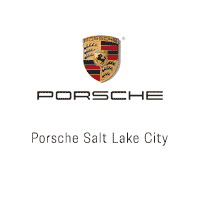 This is the first Porsche we have purchased from Porsche of Salt Lake City, but it certainly won’t be our last. The Dealer was ready for me when I came in. They had a clean loaner car ready. Service was completed timely and accurate. Each time I go to this dealership, it is a great experience. It’s easy to book an appointment and schedule a loaner. They always remind me of my appointment and are ready for me when I arrive. Each service and service experience is outstanding. A COMPLETE 180 DIFFERENCE!They have earned my business and/or future business by having a leader who genuinely cares enough to offer a helping hand.Update: Thanks to Mike and company, we are thrilled with our pre-owned Macan. Ladies and gents, THIS is how you do business in today's world. Take notes! Franz, Jeff, and John were all exceptionally professional and patient with me in finding the right Porsche. Highly recommend Strong Porsche.